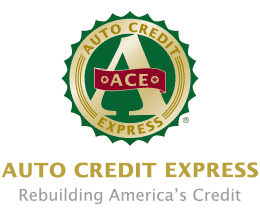 Need a car or truck loan but lack the credit history most lenders prefer? Below is a summary of the top auto loan providers for people with a poor credit score. To apply for auto financing online, simply click on the name of the service provider to visit its easy online application. These loan services provide quick approval and specialize in helping those with poor credit. Whether it’s a new car, or just new to you, buying a car can be a hassle. When you have a poor credit score (<650), that hassle level ratchets up a few more notches. Bump it back down to level with a little helpful advice from our experts and these six tips for getting an auto loan with bad credit. Like it or not, the outcome of many of the financial situations in your life are going to be dictated by your credit score, and your ability to get an auto loan is no different. In fact, there is a direct relationship between your credit score and the interest rate of your auto loan: when one is low, the other is high. As a subprime consumer, you may need to come to terms with the idea that your auto loan is going to have a much higher interest rate than those of your fair-credit friends. That’s not to say you can’t still find a great deal. You can — it will just take a little more work. You should always shop around for the best offer. Besides your credit score, the interest rate on your auto loan will also depend on the type of car you want to buy. Loans for new cars will traditionally have lower interest rates than loans for used cars. This occurs for a couple of reasons, starting with the fact that dealers want to sell new cars. Lower interest rates often help act as an incentive for buyers to splurge on the new car. Secondly, and likely most importantly, is that lenders don’t only want to minimize their financial risk, they want that risk to be predictable. Auto loans are secured loans, meaning the value of your car acts as security against you defaulting on the loan (i.e., if you can’t pay them back, they take your car to recoup the loss), offsetting some of the risk. All cars depreciate in value over time, so the lender needs to be able to determine not just the current value of that car, but the future value, as well. The depreciation of a new car can be determined more easily than that of a used car, and it is therefore easier to calculate the total risk of the loan. Finding the best rate is going to be mostly a matter of research; rates, fees, and terms vary by lender. Branded dealerships and banks may offer better rates, but are less likely to lend to a subprime consumer than a smaller lot or independent lender. When dealerships aren’t an option, online lenders can be a good avenue for finding an auto loan with bad credit. A lack of overhead means these lenders can afford to charge less, and many will happily lend to people with low credit scores. You’ll likely pay higher interest rates for the privilege, so comparison shop your offers. Before agreeing to any auto loan, make sure you know what you’re agreeing to — and if you can afford it. Using an auto loan calculator is a good way to check that you can afford your new purchase. Most calculators will have the same basic setup, with options to put in values for the purchase price of the car, term length of the loan, as well as the interest rate, down payment, sales tax, value of any trade-in vehicles, and any associated fees such as title and registration. After filling in all the appropriate numbers, the calculator will show you the total loan amount, your average monthly payment, and even how much total interest you can expect to pay over the life of the loan. Adjust the car price and loan-term values to determine what you can best afford, and make sure to stick to your budget when it comes time to buy. Almost anyone can find a decent auto loan if they’re willing to do some digging. Knowing where to find the right lenders — and which ones to avoid — as well as being informed about your own situation are good ways to help make sure you get the best auto loan possible. If you’re buying from a major dealer, you should always check with them to see what kind of loans they’re offering and if they’ll finance you (and your questionable credit), especially if you’re interested in buying a new car. Dealers really want to sell new cars, and may be willing to offer incentives, such as lower interest rates, to close a deal. If you can’t get financing through the dealership due to your poor credit history, you can look for lenders that specialize in subprime auto loans, such as the ones listed above. The lender you select should have a good reputation with the Better Business Bureau (BBB) and offer transparent services; if there are hidden fees or unusually high down payment requirements, you may want to go elsewhere. Many online lenders and lending networks are in the marketplace these days, and they can be a good way to broaden your options. Lower overhead costs usually means they charge lower fees and interest rates, and are often open to lending to subprime borrowers. Tucked between the larger new-car lots are usually a variety of small, individually owned used car lots, many of which tout, “Bad Credit? No Problem!” Often referred to as “Buy Here, Pay Here” car lots, these businesses are happy to sell you a car and finance your purchase right there at the lot. While it sounds like a great deal on the surface, you may not be the one actually getting the deal. These in-house lenders are known to take advantage of the desperation of their subprime customers by jacking up interest rates and charging ridiculously high down payments — all on top of potentially charging as much as two-to-three times what the car is actually worth. Make sure you do your homework before making a deal with any lender, especially ones that promise to give you a loan “no matter what.” These companies are generally much more concerned with their bottom line than with your satisfaction as a customer, or with maintaining the reputation of a major brand. Despite popular opinion, there is no designated minimum credit score to qualify you for an auto loan. The credit requirements will vary based on the lender, and the loan itself. That said, major (branded) dealerships will generally have higher credit requirements for their loans, as will major banks. Online lenders may offer better rates and be more willing to work with people with bad credit, as will some credit unions, so research your options. Refinancing is ideal for people who have been rebuilding (or establishing) their credit and can now qualify for a loan with a better interest rate. However, you can still benefit from refinancing even with a poor credit score, especially if your current loan has a particularly high interest rate. Compare the rates of available offers to your current loan to determine if refinancing is an option. Many of the lenders listed above may be able to help you with a refinancing loan. For those with poor credit, getting an auto loan can be a difficult enough process without having to wait and worry about approval for hours or days. Depending on your lender, though, that could very well be the case; without a good-sized down payment and a shiny credit score, auto loans can take two days (or more) to process. In many cases, finding the right lender is the key to quick approval — especially if your poor credit is what’s holding up the process. Try finding a lender that specializes in subprime auto loans to ensure you get through the process quickly. Just be wary of “instant approval” advertisements, as the quick approval may be hiding unfavorable loan terms. Regardless of your credit situation, you should never blindly accept the first loan you are offered. Take advantage of other nearby dealerships or banks — and the wide variety of online lenders — to get a better idea of your options. You’ll, of course, want to compare the interest rates of your loan offers, but that should not be the only number to which you pay attention. Make sure to check out the length of the loan, as well; auto loans can be six or seven years long these days, and the longer you are making payments on your new purchase, the more it will end up costing. Even if your credit history is bumpier than a dirt road, you may be able to qualify for a quality loan with the right lender. Proper research and comparison shopping can really simplify the process of getting an auto loan, getting you behind the wheel of your new (or new ish) car without all the hassle.